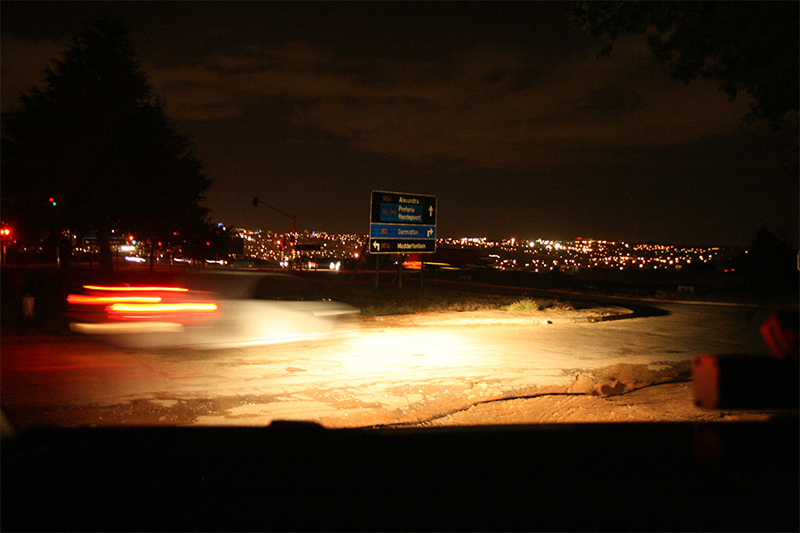 For writing the high-speed car chases in the sprawling shanty neighbourhoods of Soweto in Johannesburg, I spent a number of nights with the operational men of Tracker, a company specialising in retrieving stolen or hijacked vehicles and people. 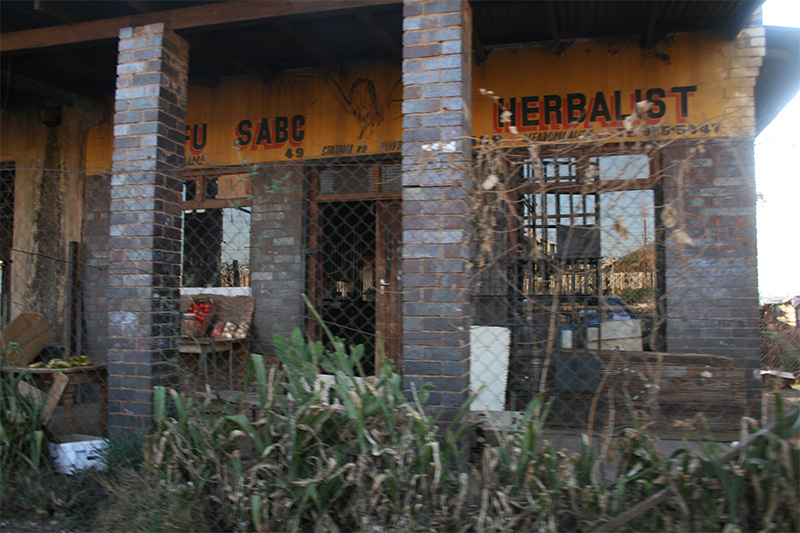 Soweto is a bewildering place for the average outsider, but also an incredible, throbbing universe of people rich and poor living side by side in anything from mansions to tin and canvas shacks. 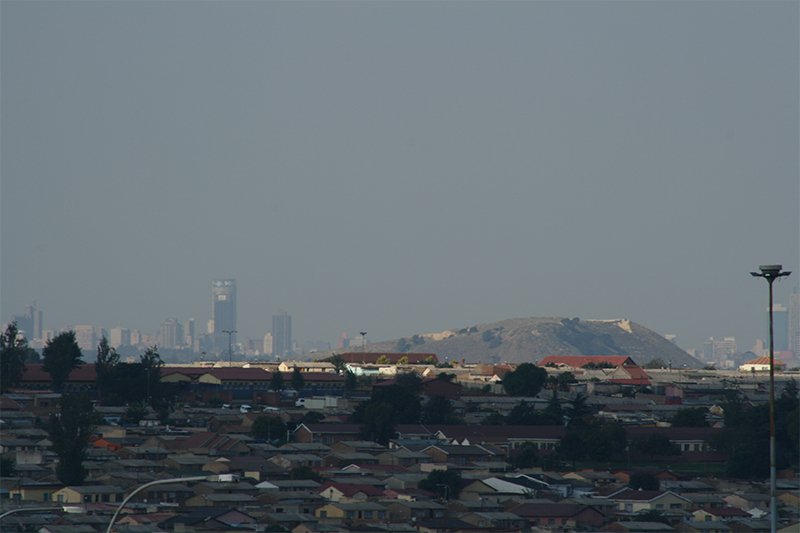 It can be a very dangerous place, but it has a mystique and warmth, a richness of colours and textures and sound all of its own. 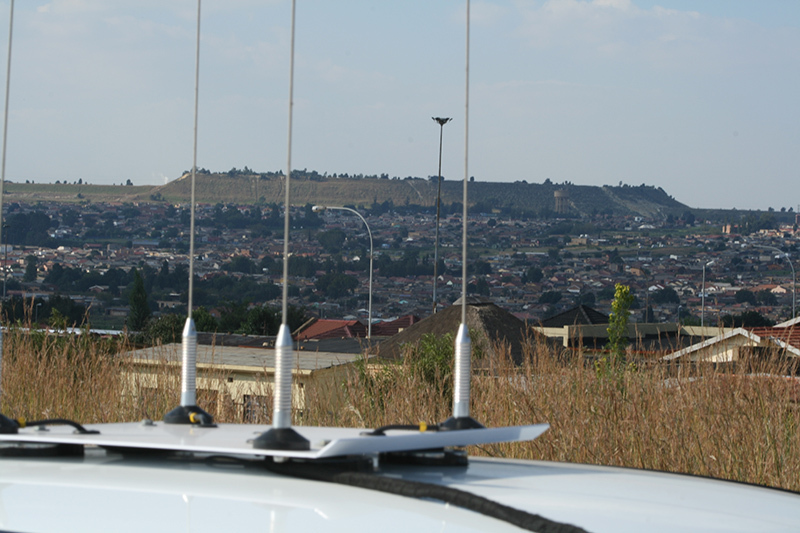 This is one of many old mine dumps surrounding greater Johannesburg, taken over the roof of one of the Tracker vehicles. 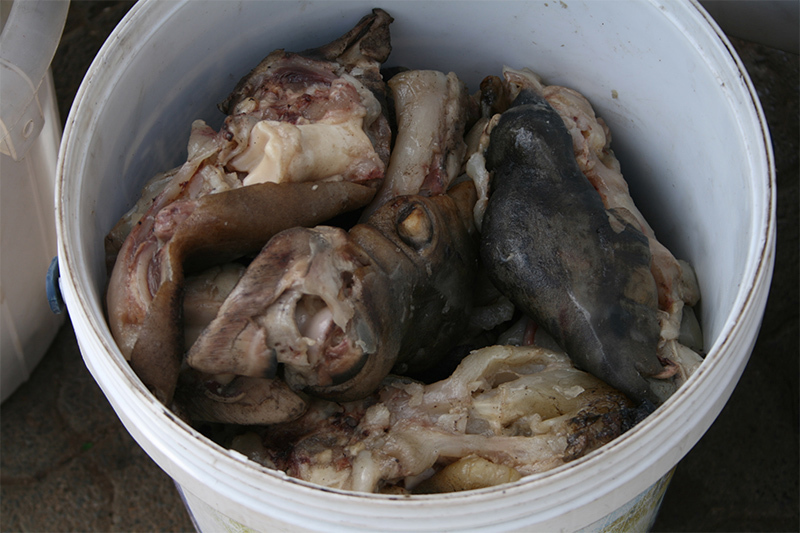 The special delicacy sold at taxi ranks and traffic lights all over Soweto: in the local vernacular it is known as ‘Skop: derived from the Afrikaans word ‘kop”, meaning the cooked offal meat of cattle and sheep, the heads, shins, knuckles. 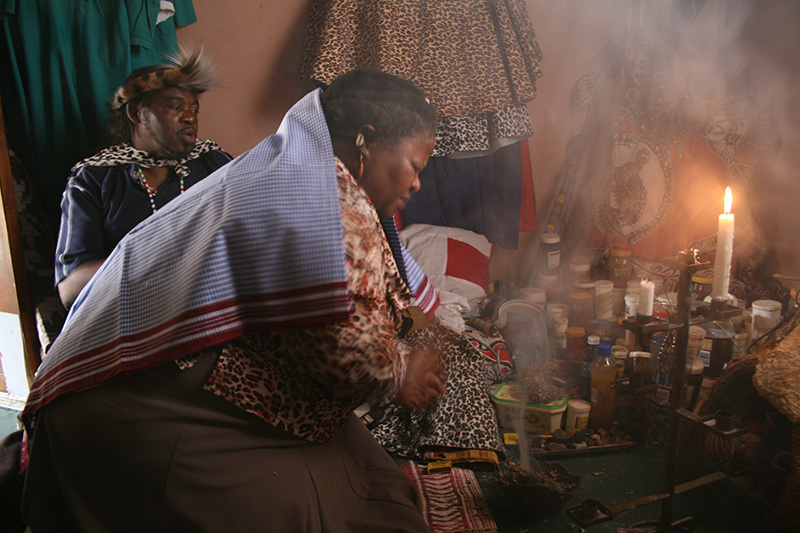 One of thousands of sangomas of Soweto doing her divining. 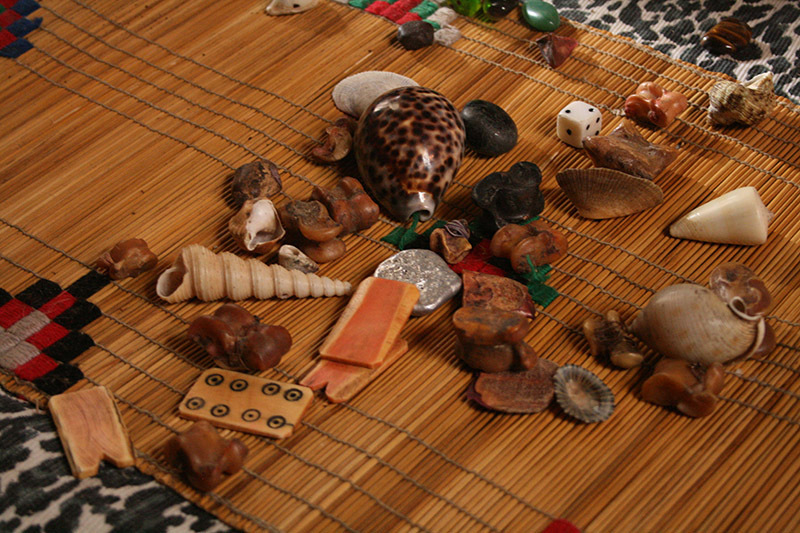 The bones thrown by a sangoma. 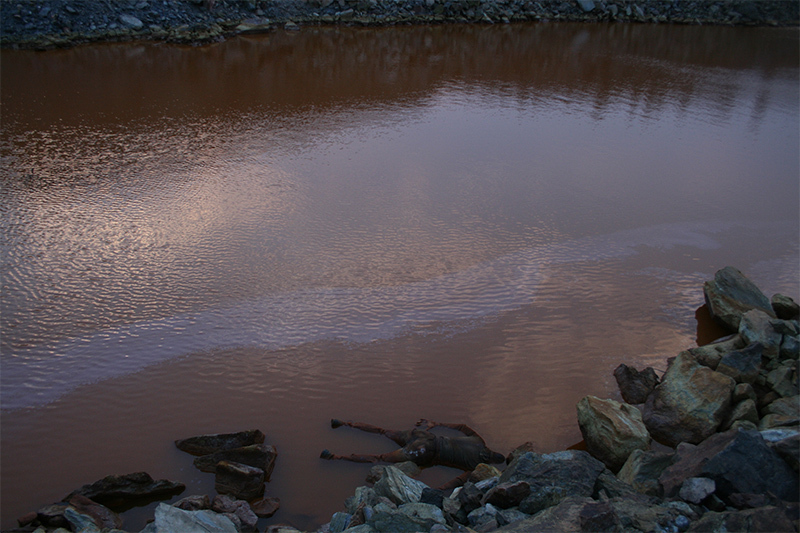 The badly decomposed body of an unknown man, found in one of the acid lakes among the mine dumps. 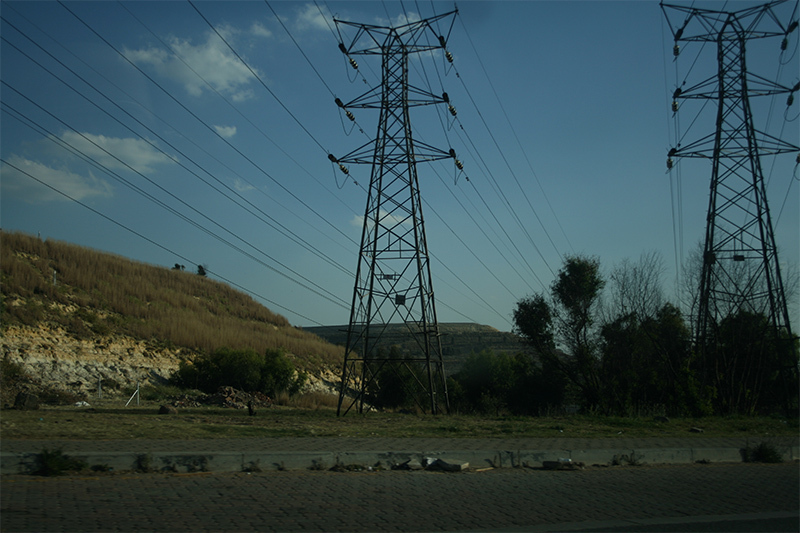 Power pylons marching past one of the mine dumps. 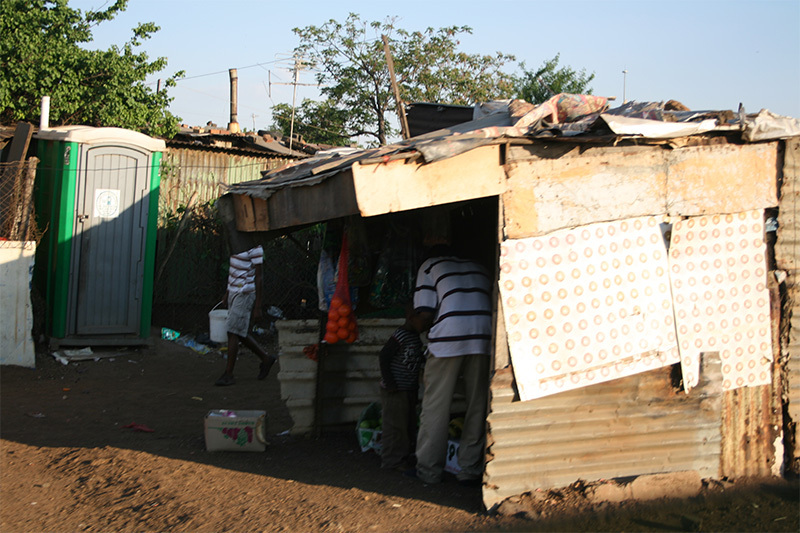 Some of thousands of shanties in the underprivileged neigbourhoods of Soweto. 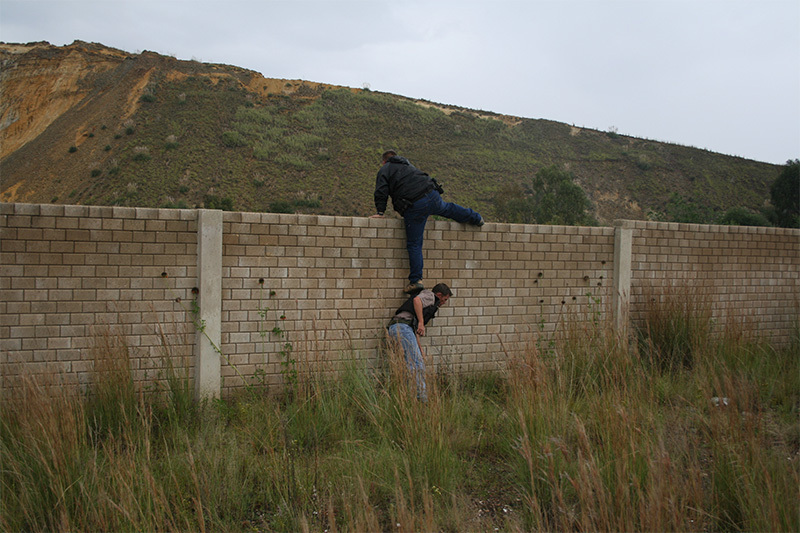 The guys of Tracker in hot persuit of a hijacker that has fled to a mine dump. 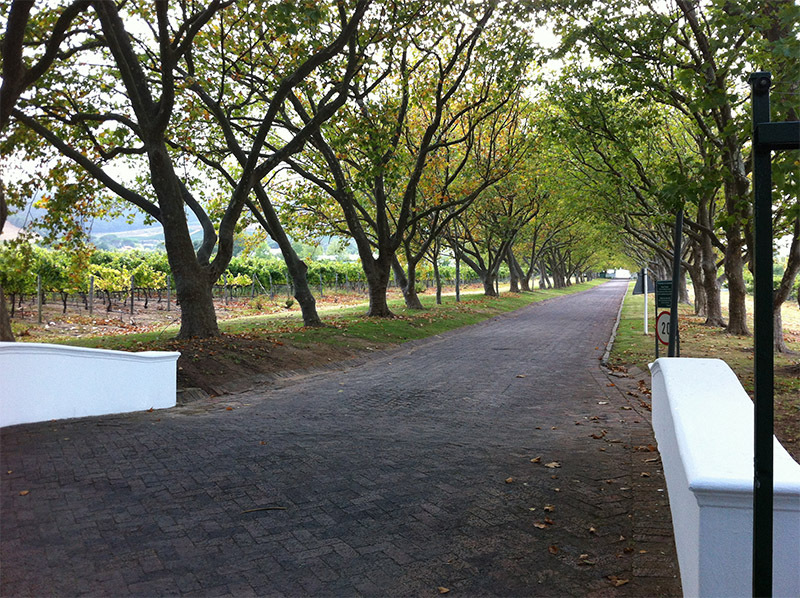 The green tranquility of the historic wine town of Stellenbosch near Cape Town. 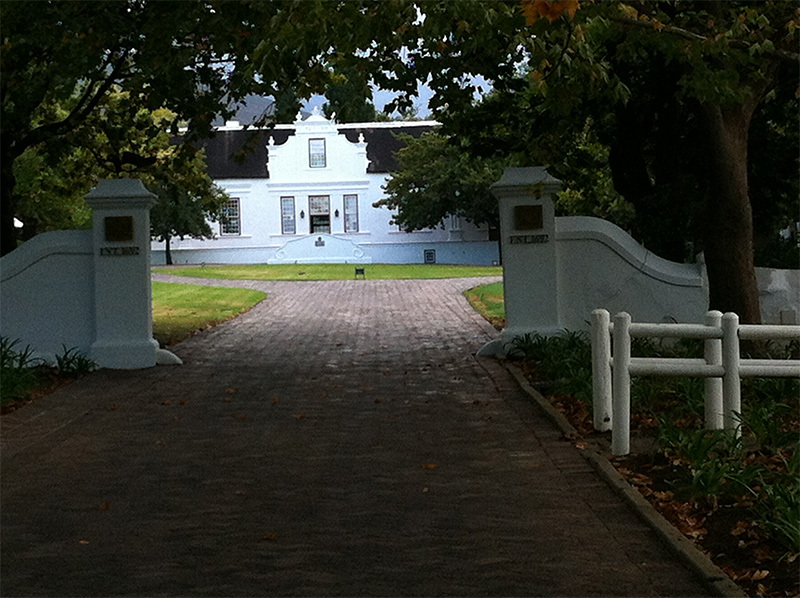 This is a historic homestead that’s been converted into a luxury hotel: Lanzerac. 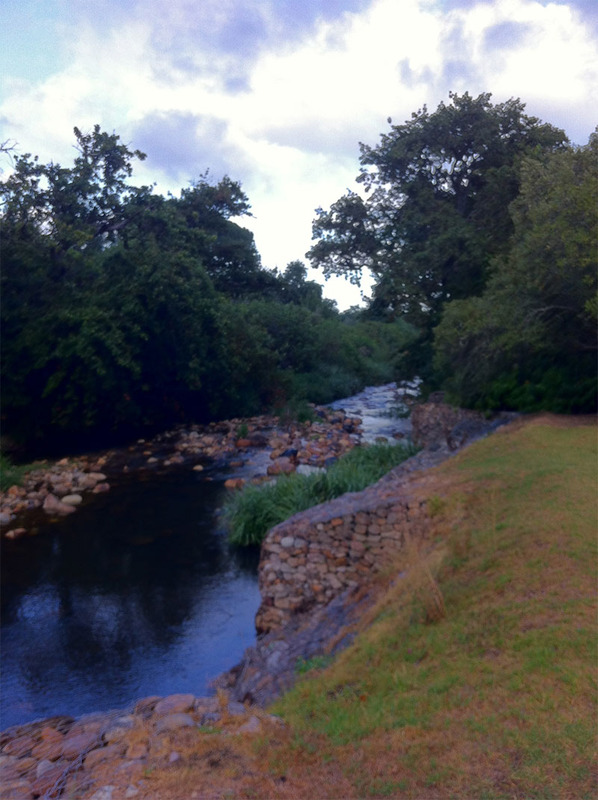 A river runs through it: the Eersterivier.